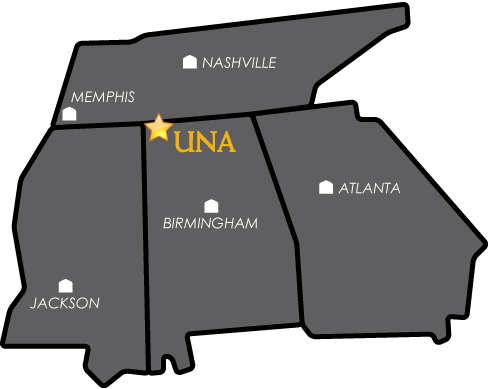 UNAPortal provides UNA students, faculty and administrative staff with world-class intranet and Internet services. You may check e-mail, check your class schedule, check grades, register for courses, accept financial aid scholarships, view announcements, and pay your bill. Below are a list of common UNAPortal questions and their answers. What is my UNAPortal username? Your username should be your first initial followed by your full last name. Where duplicates exist, an additional number is added to your last name. Your username is automatically created by the system and authenticates to other systems (Canvas, Beacon, Active Directory - campus computer access, Collier Library database access, Office365 email), therefore, your username cannot be changed. What is my UNAPortal password? You will want to change this as soon as possible. For more information about changing your password, check out our passwords page at una.edu/its/technology-security/password.html. How long do I have an UNAPortal account? From the time you are admitted until you graduate or leave UNA and for a period of 18 months from your last active semester at UNA. What is my UNA email address? This applies to faculty, staff and students. What is my storage quota for my email account? How many attachments may I send per email? How do I pay my bill on-line? When is the UNAPortal system scheduled to be down? Who may request (send) a Campus Announcement? What browsers are supported for my Windows PC/Mac?